The bottom line on the 2018 BMW M550i is simply that if you want the best executive luxury sport sedan on the market, this car has to be on the short list. BMW built its reputation on great road cars. The company's "ultimate driving machine" tag line is based on decades of delivering outstanding sedans that deliver both comfort and performance. As with any automaker, the legendary Bavarian constructor has occasionally fallen a little short of their best work. But if you want the authentic top-shelf BMW experience, the 2018 M550i will restore your faith. The 5-series is BMW's mid-size executive sedan. Unlike the larger 7-series, this car is built with the expectation that the owner is also the driver. So the M550i is a fast car that can carry several friends to lunch or the golf course. The M550i comes with a twin-turbocharged 4.4-liter V8 good for 456 horsepower and 480 pound-feet of torque. The transmission is BMW's 8-speed automatic, equipped with shift paddles on the steering wheel. BMW's xDrive all-wheel-drive system is transparent — you'll only know it's there when you drive on past all the people stuck in the snow next winter. That combination will pull this BMW from zero to sixty in just 3.9 seconds. By comparison, this year's Chevrolet Corvette does the same run in 3.7 seconds, so you're getting impressive sports car acceleration while still enjoying a spacious and well-appointed interior and the smooth, quiet ride you want. Inside, the cabin is everything you could dream about. 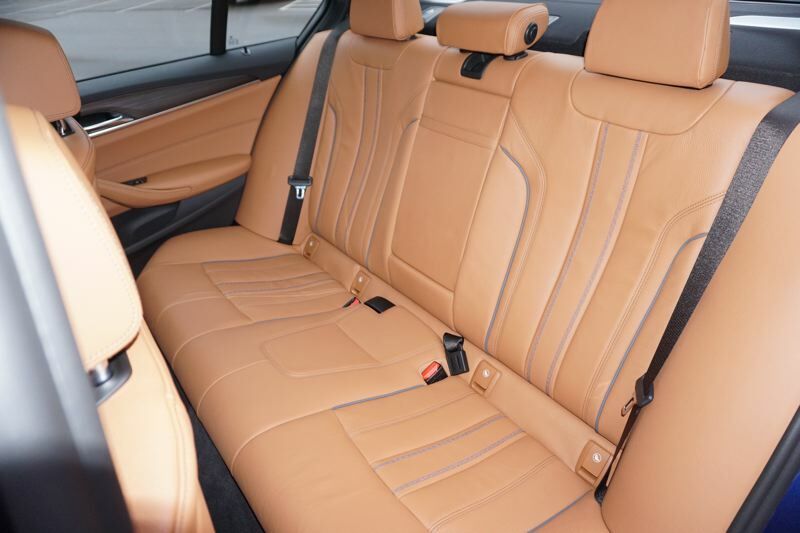 BMW's best front seats adjust in 20 ways, including four ways of lumbar support. 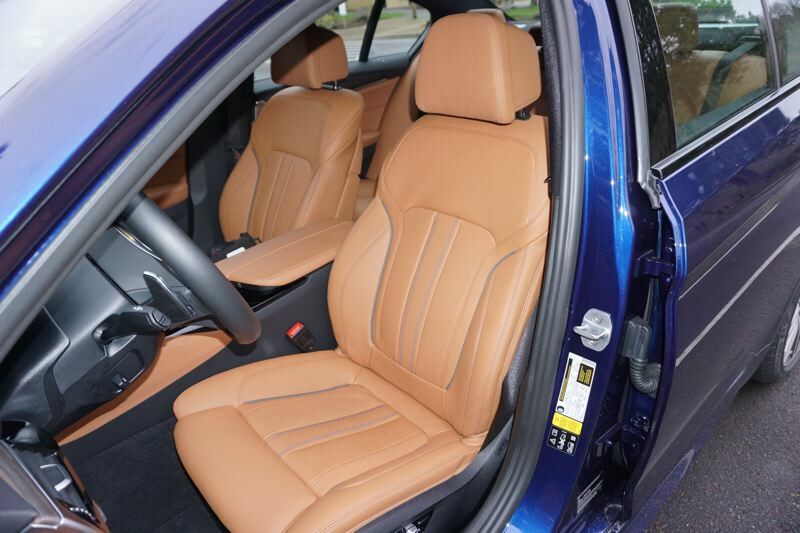 The leather is the softest and smoothest on the market and of course all the seats are heated. There's real wood trim, and everything is put together without so much as a misaligned stitch. You also have your choice between the standard Harmon Kardon stereo, or an upgraded Bowers & Wilkins sound system. Either one will put your home stereo to shame. 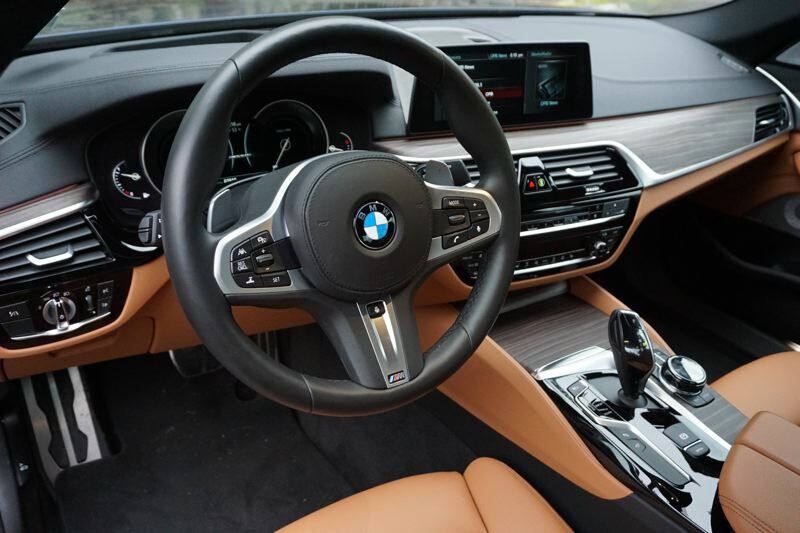 BMW has brought an amazing amount of tech to the M550i. You can get night vision assistance with pedestrian detection, a head-up display, and a full active driving assistance suite that will gently keep the car in your selected lane and manage speed control for you. There's an optional surround-view camera and automatic parking assistance. You can teach the M550i to respond to hand gestures to control the navigation and infotainment, too. Under the car, BMW offers optional tech in the form of a Dynamic Handling Package that includes adaptive suspension and active roll stabilization to keep the car flat in corners. 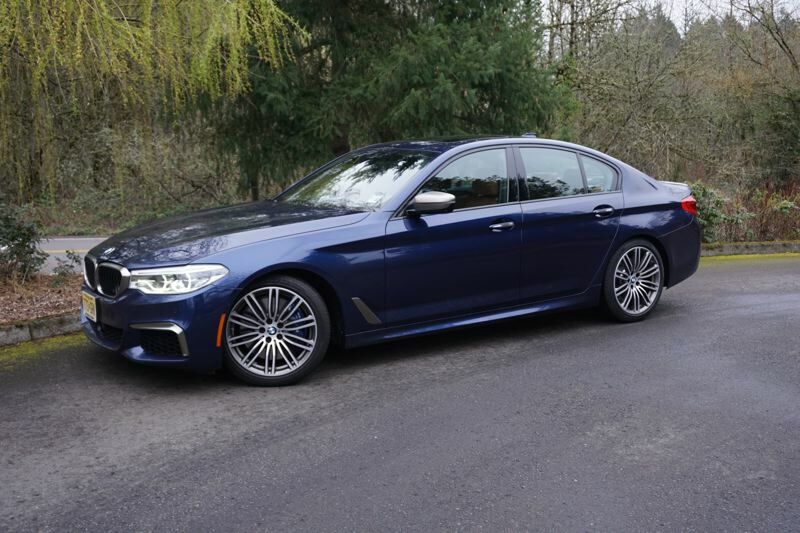 The bottom line on the 2018 BMW M550i is simply that if you want the best executive luxury sport sedan on the market, this car has to be on the short list.